Do you have high school-age children young people in your house who are struggling to find a purpose and a path in life? Who are trying to decide what to study in college - or even to go to college - and what career path they should follow? It's hard as a parent to watch this without really knowing how to direct these young people. Sometimes career counseling and guidance at school works, but if your school is anything like the school my kids went to, the guidance they receive leaves a lot to be desired. What’s been missing is a real understanding of who you are. It’s quite possible that nobody has ever helped you understand just who you are and how this affects the decisions you make. The Right Me is not a computer printout – a piece of paper that tells them who they are, based on a series of multiple choice questions. 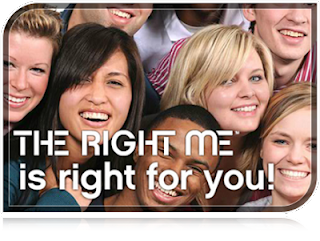 The Right Me Journey will help young people FIND OUT FOR THEMSELVES, through a series of thoughtful and carefully crafted exercises, what really inspires and motivates them and what choices in life and career are right for them. Please check it out and give it a try. They offer a 30-day 100% money back guarantee, so there's really nothing to lose - and a bright future to be gained. This post sponsored by The Right Me from www.brilliantu.com.